Wow Leon’s Furniture really appreciates their customers. 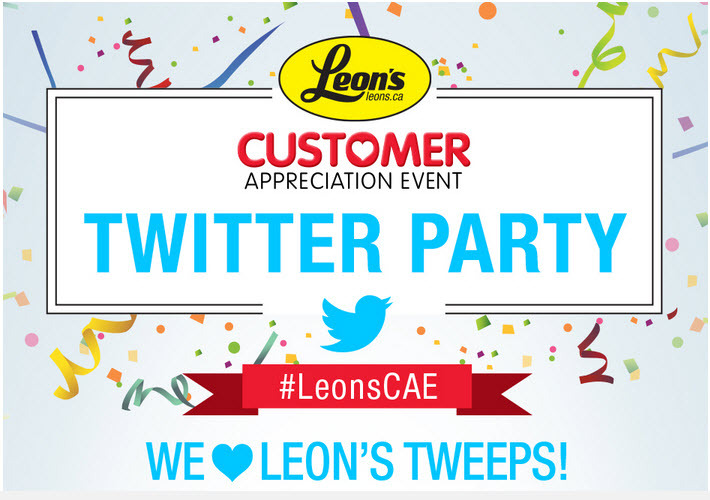 Did you know that they are giving away over $3,000 in furniture at their Twitter Party this Thursday? 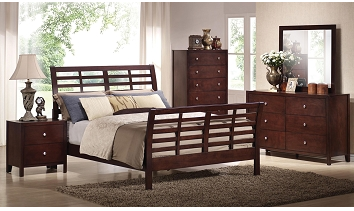 Delvinia 5- Piece Bedroom Set Valued at $1199. On the Grid. With its strongly geometric styling, our Devina bed is in the know when it comes to handsome design elements. Boasting a modern take on the classic sleigh bed, the Queen bed shows off grid-like details in the curved headboard and footboard. The case goods have flush drawer fronts, so nothing interrupts the clean lines. 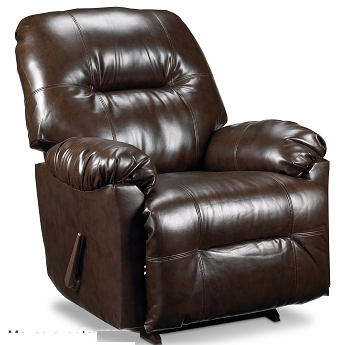 Simple nickel hardware lets the striking merlot espresso finish and acacia veneers speak for themselves. Favourite Furnishings. The Fava II sofa offers up a perfect look and feel when you need a place to unwind. Soft to the touch yet durable enough for your high-traffic space, the quality grey fabric has subtly textured appeal, and the patterned pillows boast laid-back glamour — all coming together in one gorgeous look. 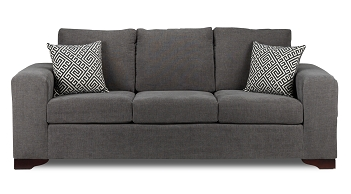 The tailored box cushions and bold track arms ensure lasting comfort. Made in Canada. Shore Thing. With the Lakeshore TV stand, entertaining in style is assured! This TV stand with drawers really delivers storage for electronics and other media. The amply sized drawers provide added space for stowing personal items. Clean lines, brushed nickel bar pulls and a versatile charcoal finish complete the smart, inviting look. Made in Canada.